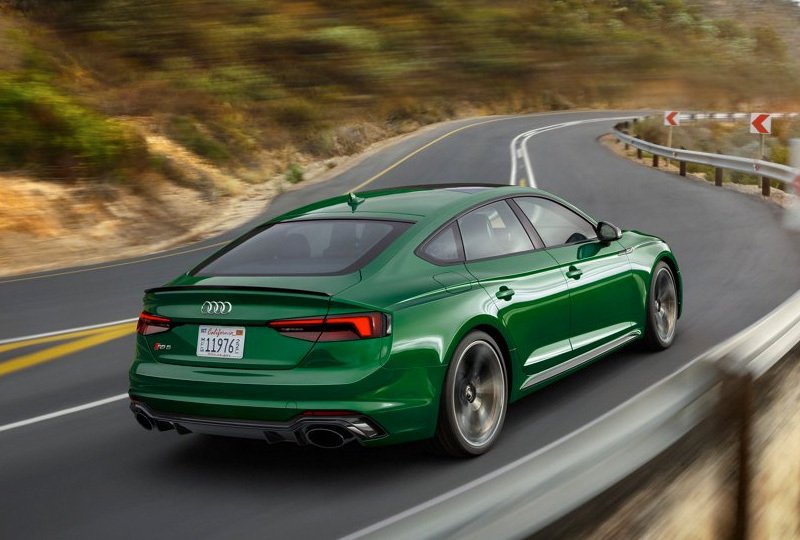 The 2019 Audi RS 5 Sportback coming soon to Audi San Diego in California, serving La Jolla and University City, will revolutionize your driving experience. From the aggressive new design to the incredibly capable 2.9L twin-turbo V6 engine, this car is begging for a joyride. While bystanders do a double-take to see the wave shoulder line and honeycomb Singleframe grille, you'll be charging forward with 444 horsepower and 443 lb.-ft. of torque. Advanced Quattro® all-wheel drive technology gives you the confidence to go wherever the adventure takes you. Take a moment to appreciate the beautiful interior design that uses leather appointments and intuitive features to create the ideal atmosphere for the modern driver. Customize the information you want to see with the fully-digital Audi Virtual Cockpit that adds a 12.3-inch digital instrument display. Manage your entertainment with ease using the MMI Touch controller, which offers handwriting-recognition technology for a seamless experience behind the wheel. 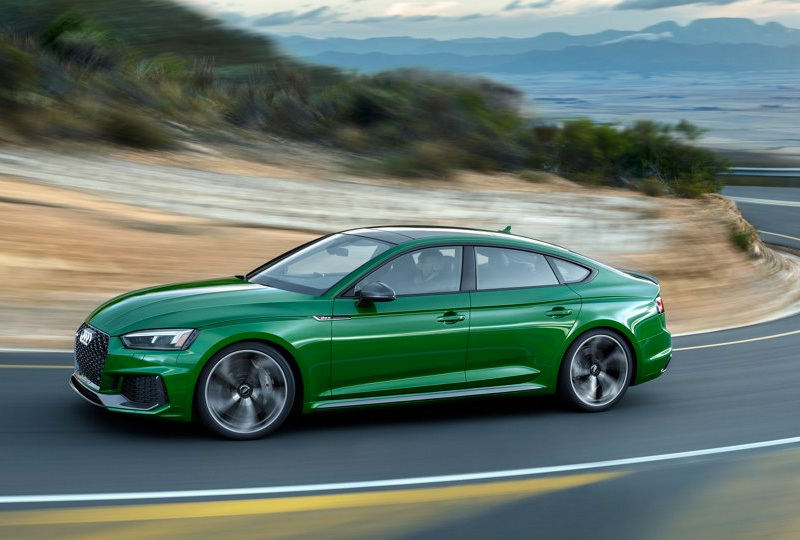 The new 2019 Audi RS 5 Sportback will be here before you know it, so sign up to receive updates from Audi San Diego. You can test drive other Audi vehicles at our dealership located at 9010 Miramar Road, San Diego, CA.